Simple Grace, a devotional magazine with daily inspirational Bible quotes and content, has launched. The publication targets a mass audience on the nation’s stands, and is geared toward the love, kindness and support of God. The content is non-denominational, supported by scripture, and features interviews with Christian authors, artists and celebrities. Every issue includes the sections: Daily Devotional, which features a beautiful photo for reflection and a spiritual solution for each day of the month; Inspirational Now, which serves as an up-to-the-minute media guide featuring inspiring movies, TV shows, books, music, and apps; How I Know God is Real, which offers short stories of real women’s experiences with Spirit; and My Moment of Grace, which offers inspirational photos sent in by readers. 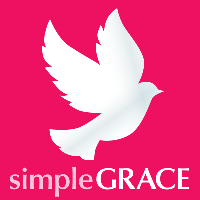 For more information on Simple Grace, follow on Twitter.